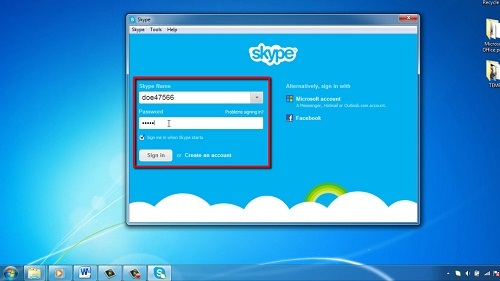 In this tutorial you are going to learn how to show Skype keypad. Skype calls this keypad the “Dial Pad”. You will learn how to access the dial pad from the main window and how to bring up the dial pad during a call. Open Skype and sign in to Skype using your Skype credentials. 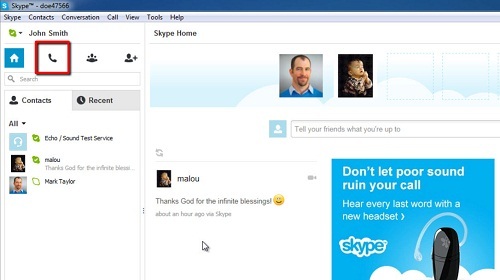 In the main window, just under the bar that shows your Skype name, there is a set of four black icons. Click on the icon that represents a phone handset. This will show the dial pad in the right hand portion of the window. You can use this to dial phone numbers around the world. If you need to access the dial pad during a call, first place the call. After the call is connected, access the dial pad by clicking on the 9 white dots arranged in a grid pattern (dial pad icon) located near the “Hangup” button represented by the red handset icon at the bottom of the call window. 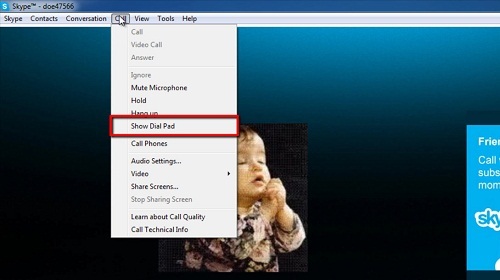 If this “Dial Pad” icon is not present, select “Show Dial Pad” from the “Call” menu, during the call. This is how to show Skype keypad.